Hi Frugalistas! I don’t know about you, but when I travel to a new place I always some preconceived ideas about what I am going to experience. 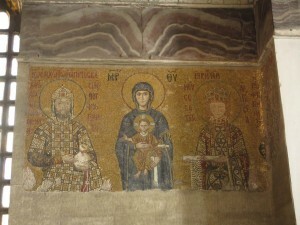 My trip to Istanbul was no exception. I was delighted to discover some of my preconceptions exceeded my expectations, and some of my negative preconceptions were just plain wrong! 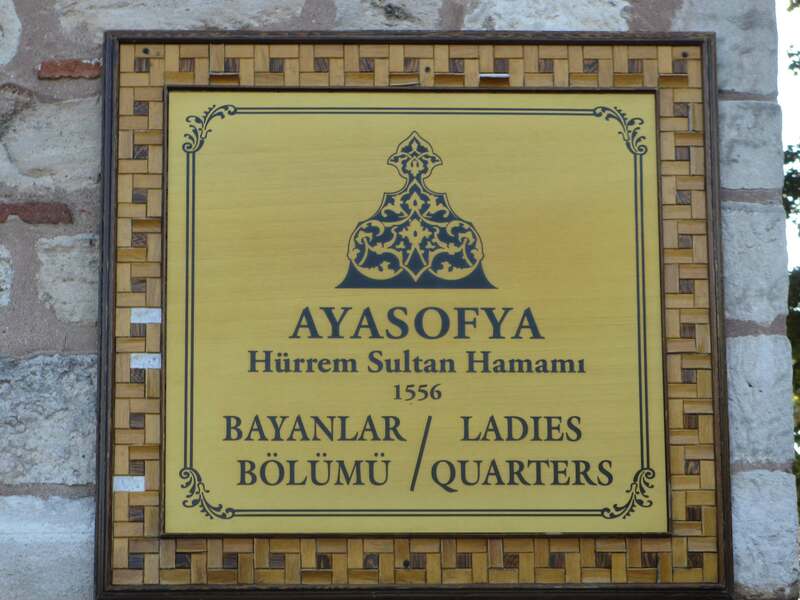 I wrote previously about how much I enjoyed my hammam experience at Ayasofya Hurrem Sultan Hamami. While I was looking forward to going to the hammam, I didn’t realise just how enjoyable it would be. A good session at a reputable hammam really is like a wonderful treat at a very exotic spa. If you like massages, facials and other spa treatments, I thoroughly recommend a trip to the hammam – there really is no experience like it! Looking at the maps in my guidebook I was a bit daunted at the prospect of navigating my way round Istanbul. Apart from the road traffic that is truly awful, in reality, getting around is easy. Armed with some thorough research planning my route, and a decent map, I was able to find my way round town without a hitch. Streets are quite well sign posted and popular tourist sites have their own directional signage. I found the tram lines a good “marker” to help navigate my way as I walked around. The Spice Bazaar is not so big, so is hard to get lost in. 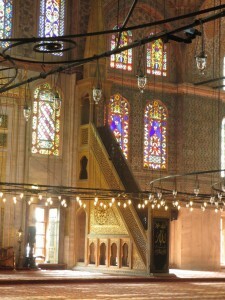 Many guide books will have a map of the Grand Bazaar. 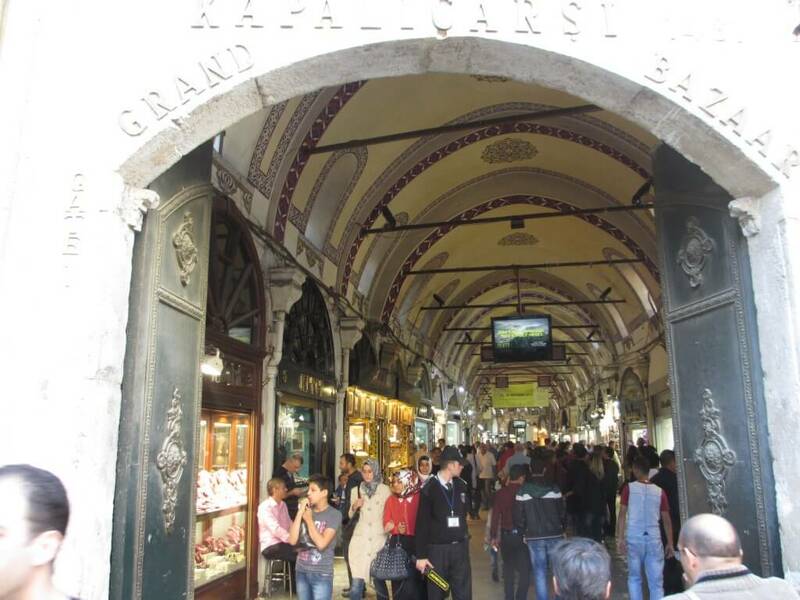 While I didn’t always know exactly where I was in the Grand Bazaar stalls are grouped into zones within the bazaar. By using the goods on sale, and the zones identified on my guidebook map I was able to navigate my way round quite comfortably. While streets are narrow and winding in places, and I didn’t always know exactly where I was, Istanbul wasn’t daunting to navigate at all! 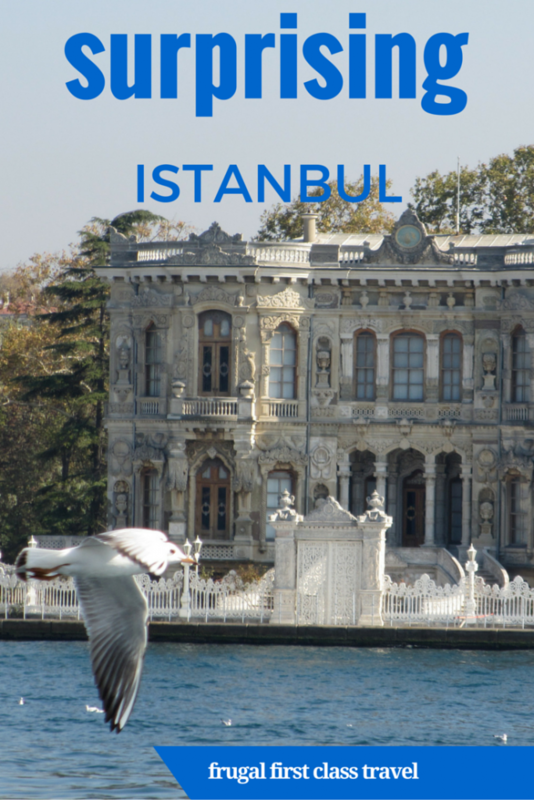 The Sultanahmet area is crazy busy, but look carefully and tranquil spaces do exist. Beside the Topkapi Palace one morning I wandered into the Gulhane Park. The park is somewhat protected from view as it is inside the old palace walls. It made a wonderful place for a quiet morning walk. With only the odd jogger, some fellow walkers and plenty of birds for company I enjoyed a peaceful morning. Outside the tourists bustled, the tour buses queued up to part outside the Palace, and the touts touted. 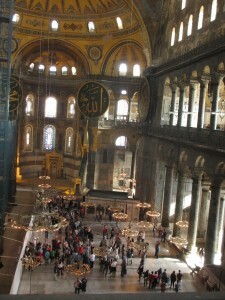 But we lucky few explored a quieter, more tranquil Istanbul. 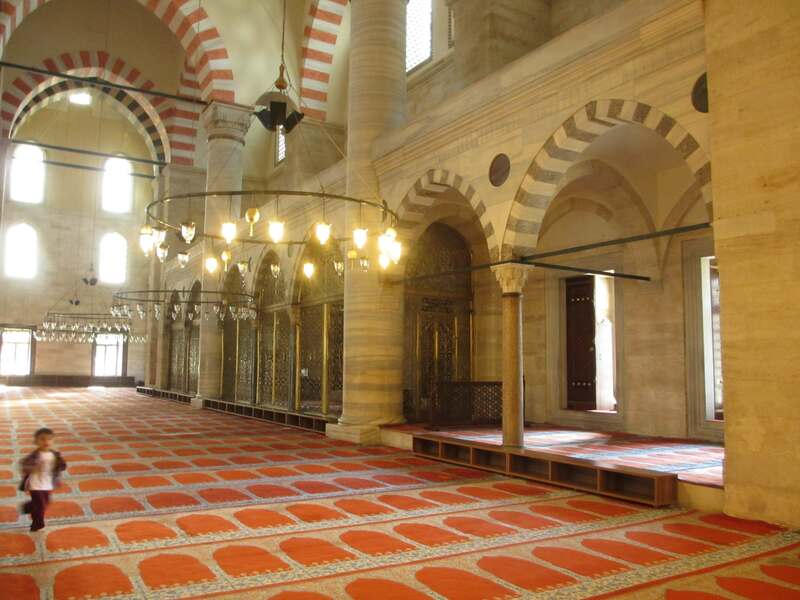 Even in busy tourist sites like the Topkapi Palace and mosques, it is possible to find a quiet place. 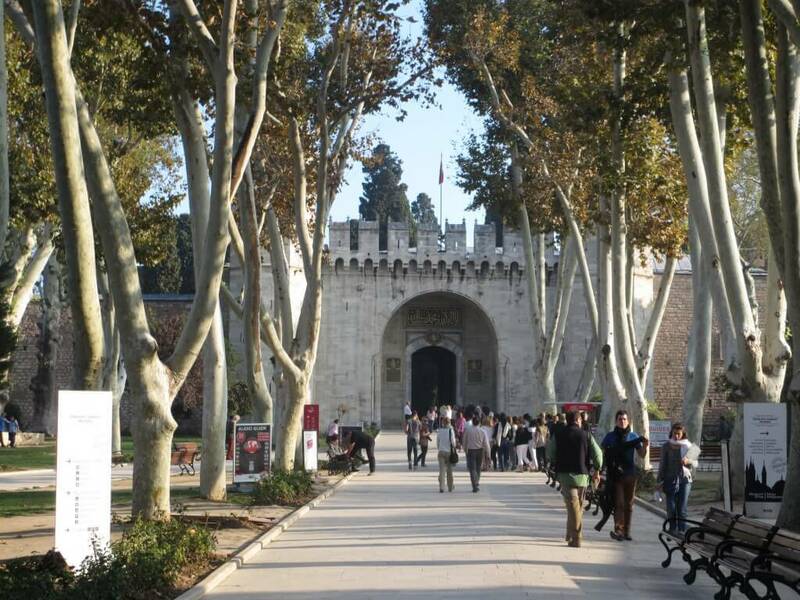 On a busy morning, the gardens of the Topkapi facing out onto the Bosphorus were surprisingly quiet. I was able to sit alone on a bench and enjoy the gardens and the view. 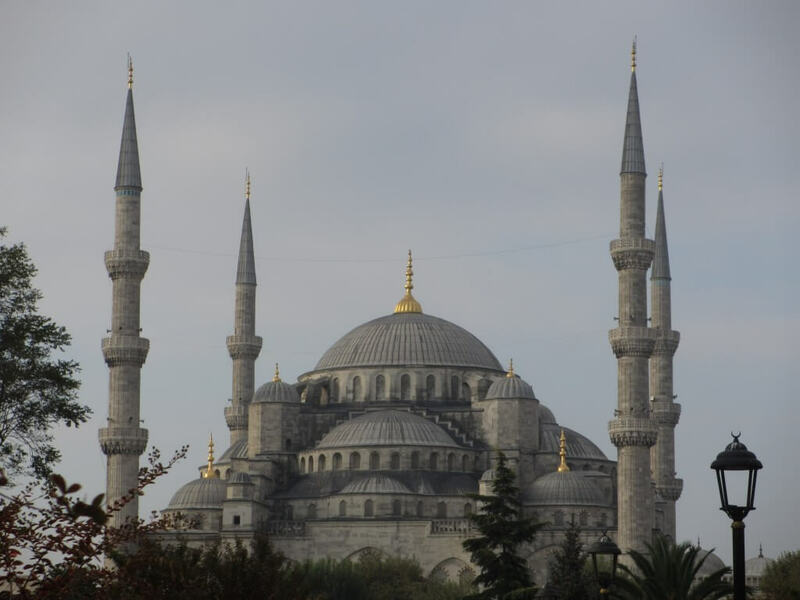 By moving to the side of the tourists areas in mosques such as the Blue Mosque and the Suleyman Mosque I was able to avoid the worst of the crowds, still enjoy the architecture and spend as much time as I liked taking the beauty of the mosque, completely uninterrupted. Sometimes I love it when I’m wrong! 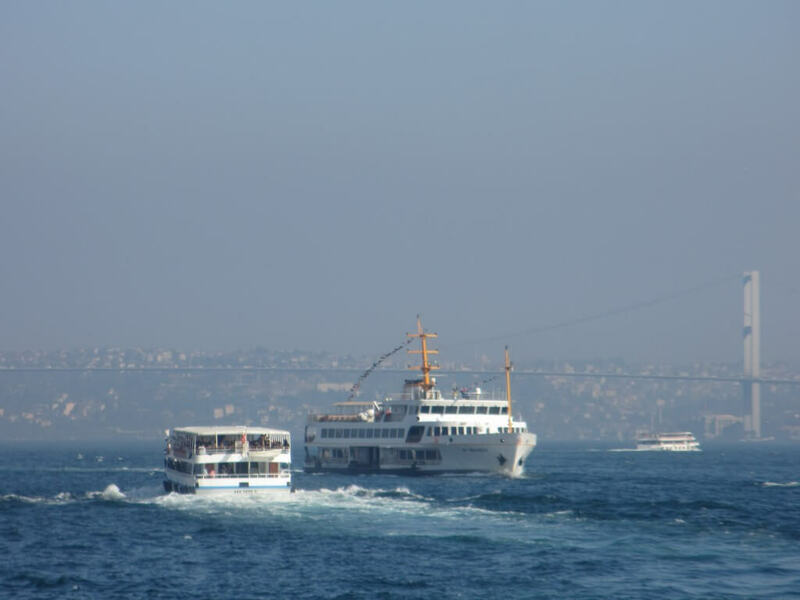 I always felt I would enjoy Istanbul, but was a bit daunted at finding my way round, and wasn’t sure whether I’d cope with the crowds and noise. While I love facials and massages, I hadn’t experienced the hammam, and wasn’t sure what I would make of it. When did you visit a place and find it to be even better than you expected? 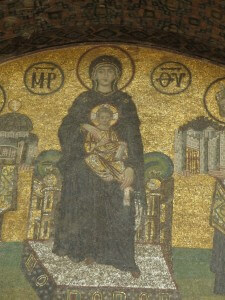 I am bookmarking all these posts about Istanbul which is high on my list of places to go. Thank you. Thank you Rosemary. I do have some further posts in this series. It’s a wonderful city. Jo, it is great how places sometimes take you by surprise when they are different to what you envisaged but in a good way! After all of your inspiration about Istanbul I have decided to contribute with my next post being about some great travel options in Turkey! I would definitely love to visit this part of the world one day. Thanks Anne. Istanbul is an inspiring place, so I’m delighted it’s had that effect on you! I had no idea about 1&3 maybe it is for my next trip there. But I agree with second but the city and rich history may seem complicated from far but are fairly easy to figure out and navigate. Now that sounds like the perfect reason to return! Istanbul was one place that I never expected to visit and had many preconceived notions about…and it was one of the best trips of my life. 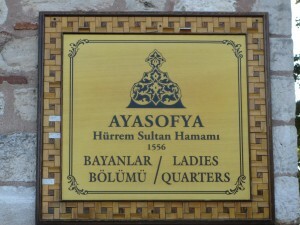 I was lucky enough to spend 5 days roaming about the city and stayed in a hotel one street over from the Blue Mosque. Also went to the same hamaam. 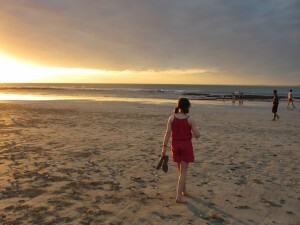 Would go back in a heartbeat! Thanks for the memories!